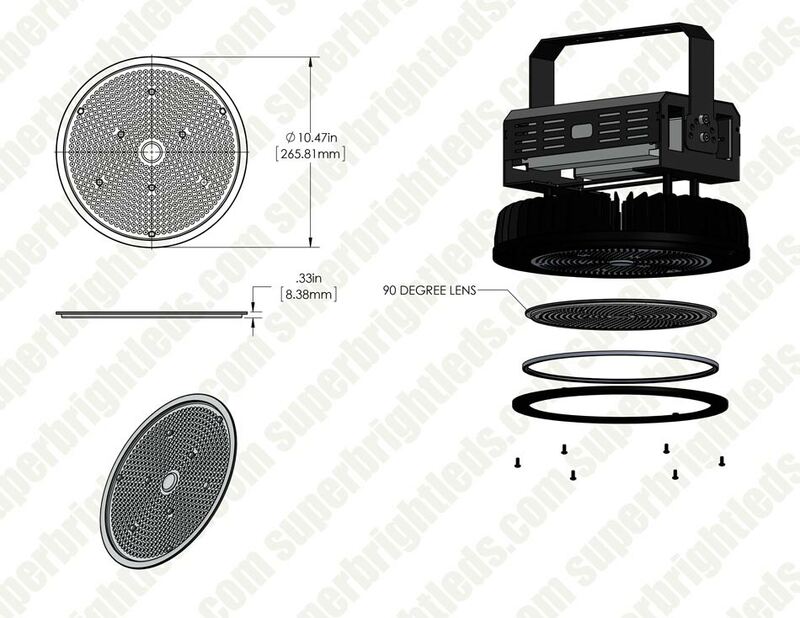 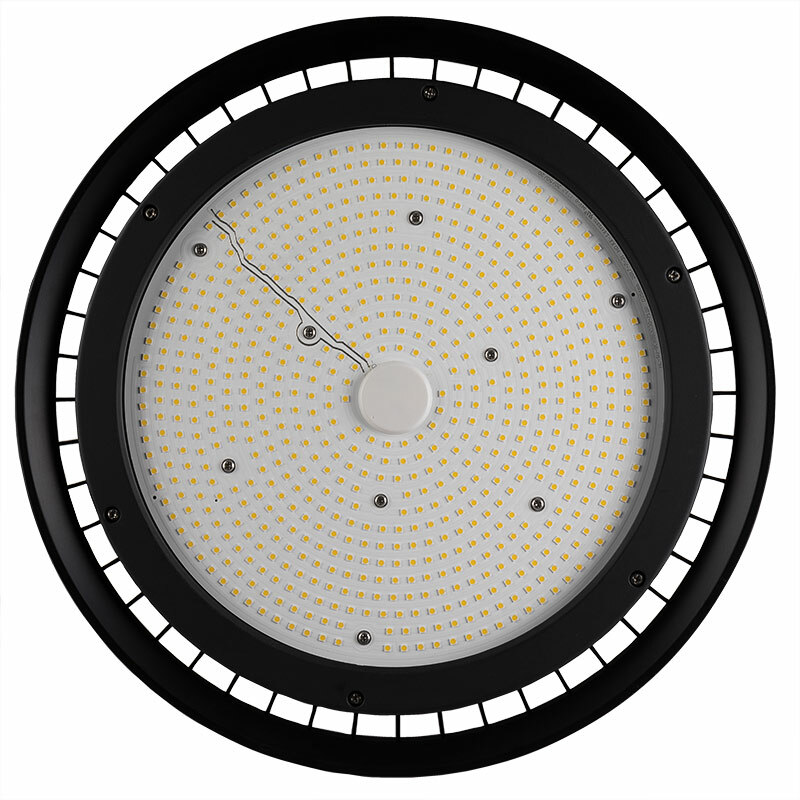 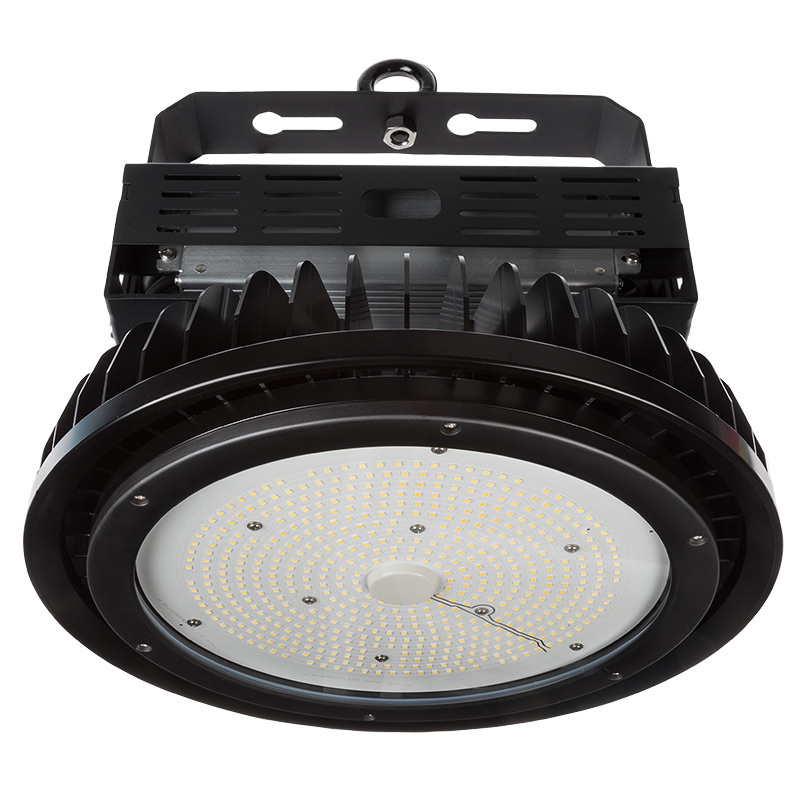 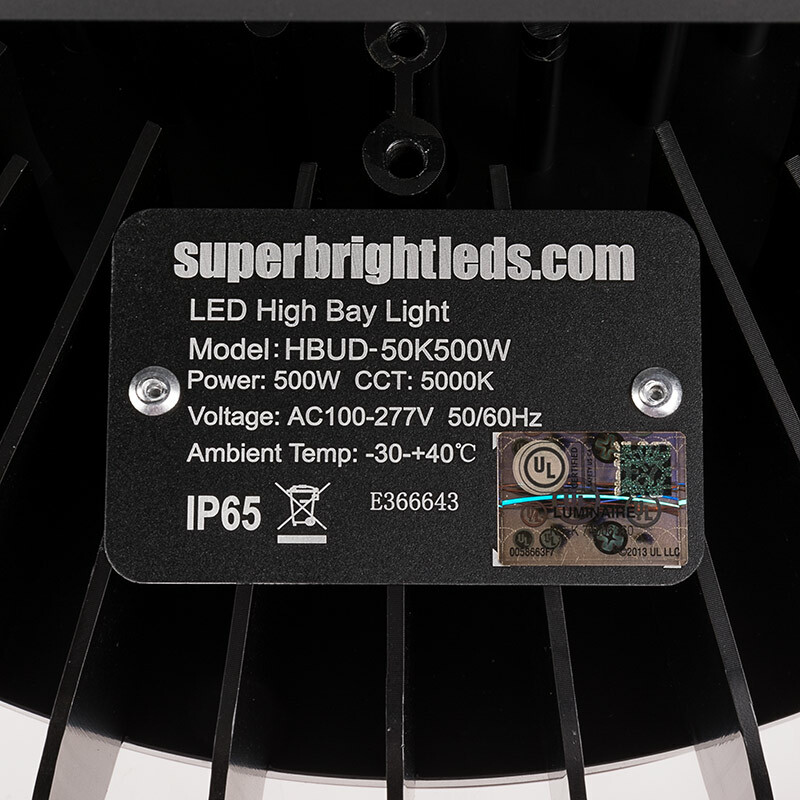 This 500-watt UFO LED High-Bay Light replaces 1,500-watt metal-halide lights while lasting 3 times longer. 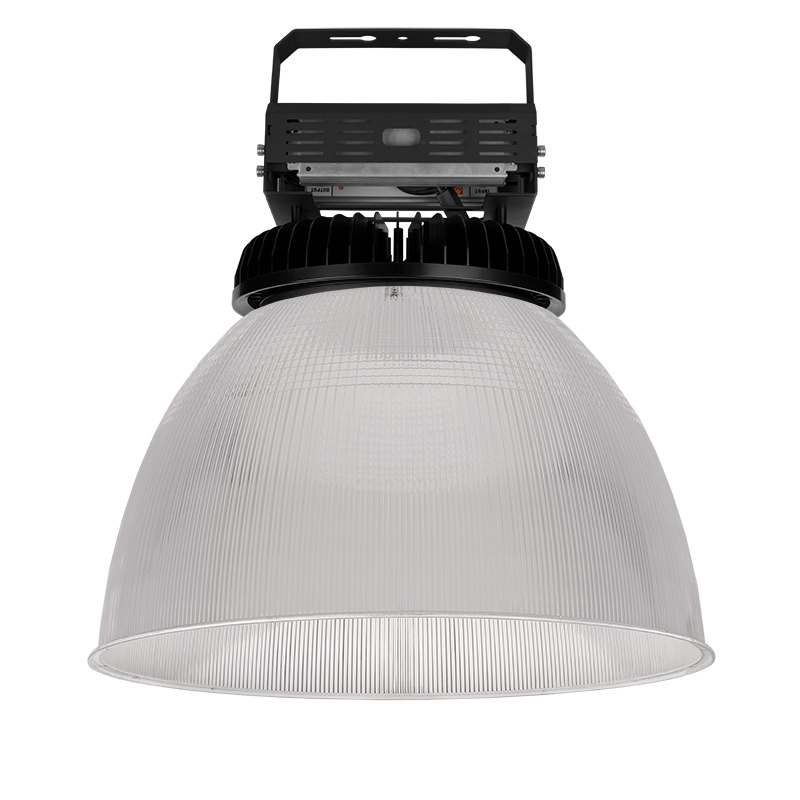 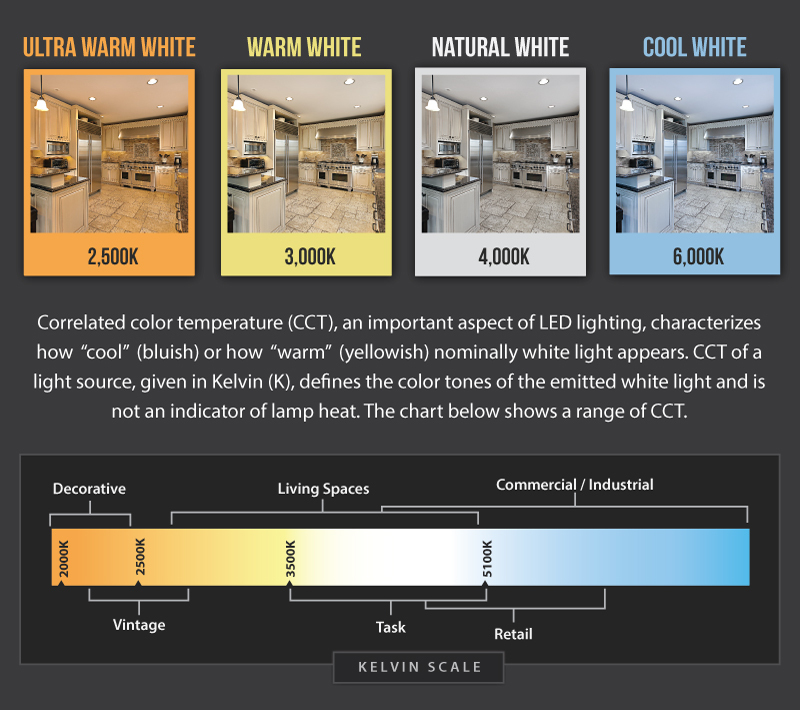 The powerful fixture emits 65,000 lumens of cool white light. 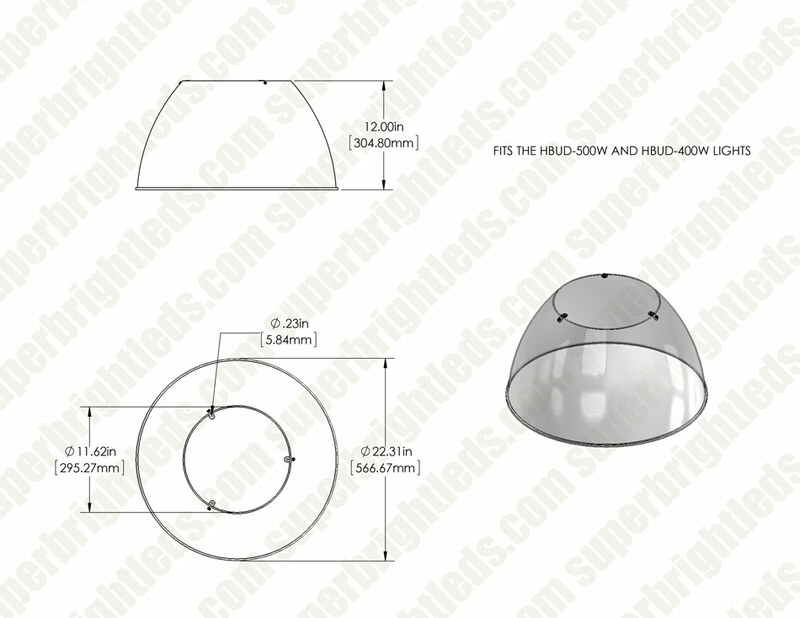 A UV-stabilized acrylic reflector provides high vertical illumination while reducing glare. 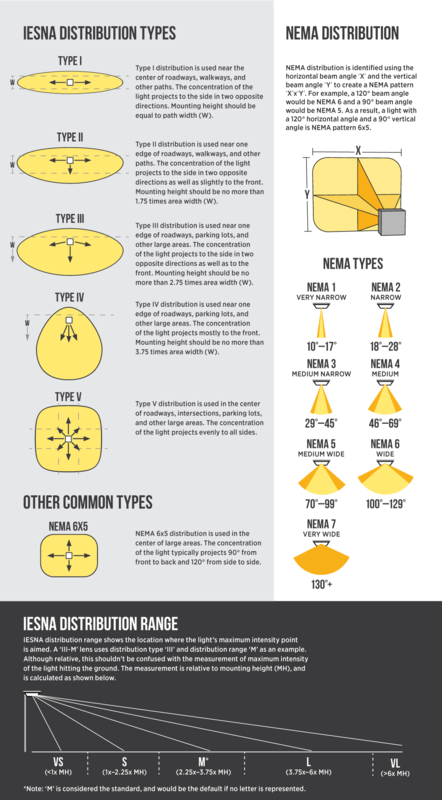 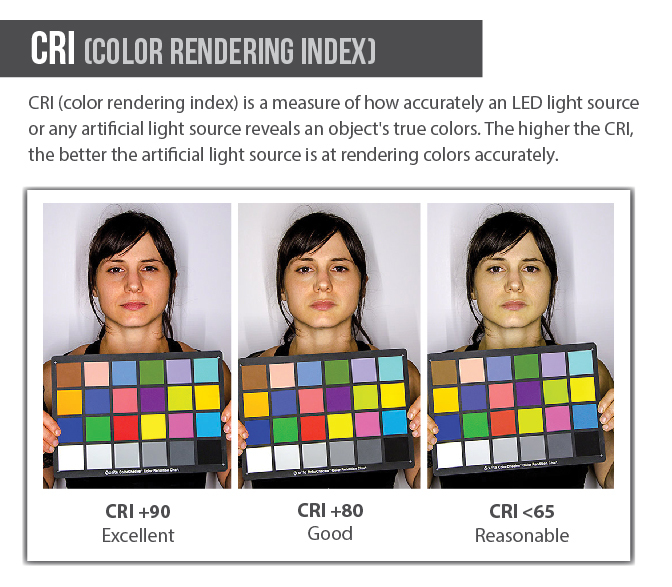 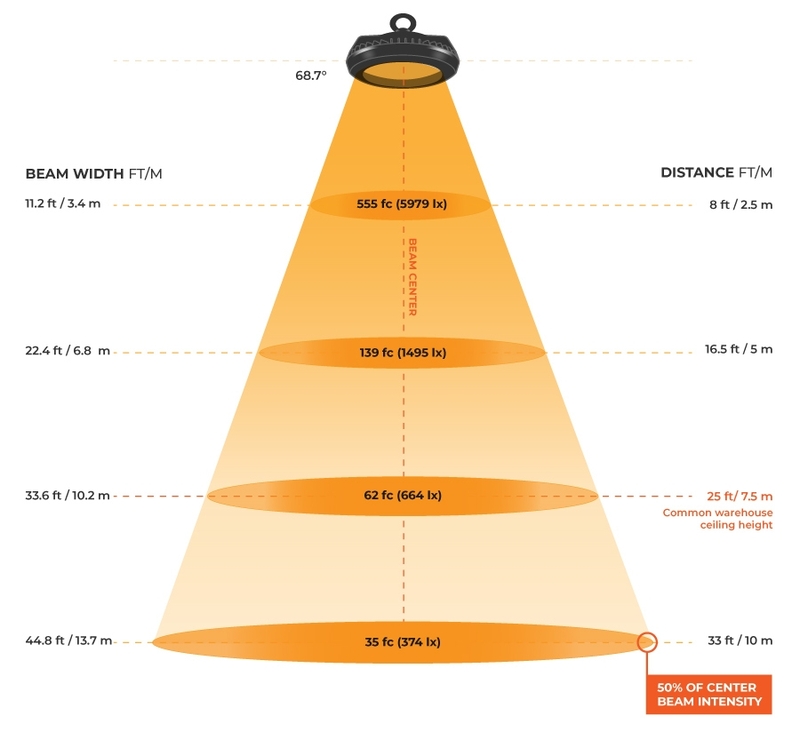 Choose a 120° or 90° lens. 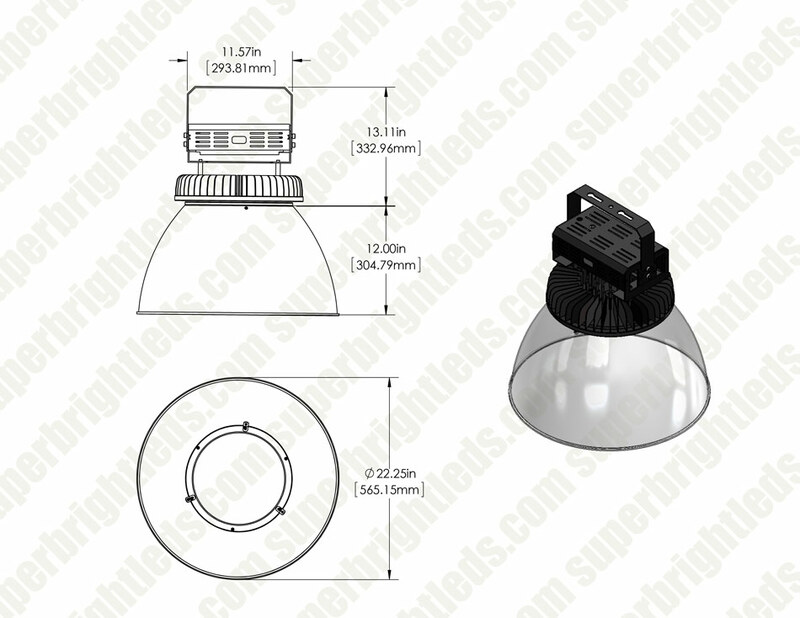 The 120° lens is included with 90° lens selection and is preinstalled; 90° lens requires installation. 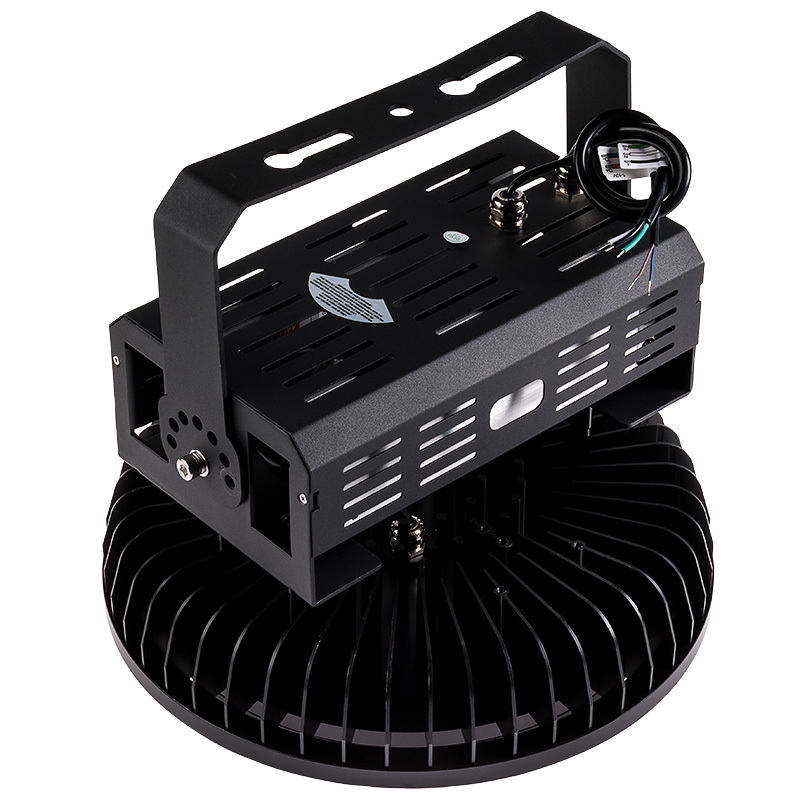 Its powder coated, die cast aluminum housing is weatherproof with an integral LED-cooling heat sink and a tempered glass lens. 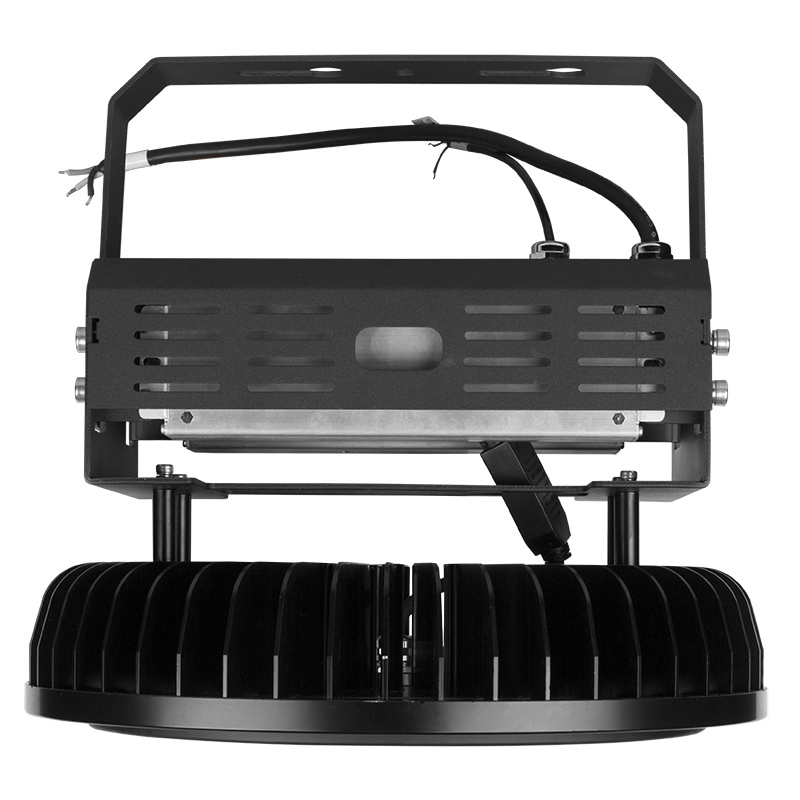 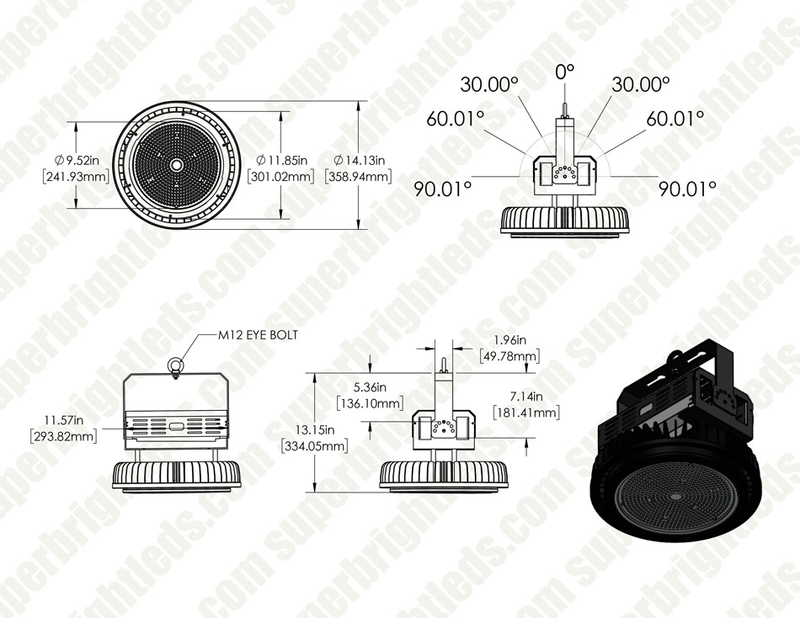 The UFO light is equipped with a constant-current driver and operates on 100-277 VAC. 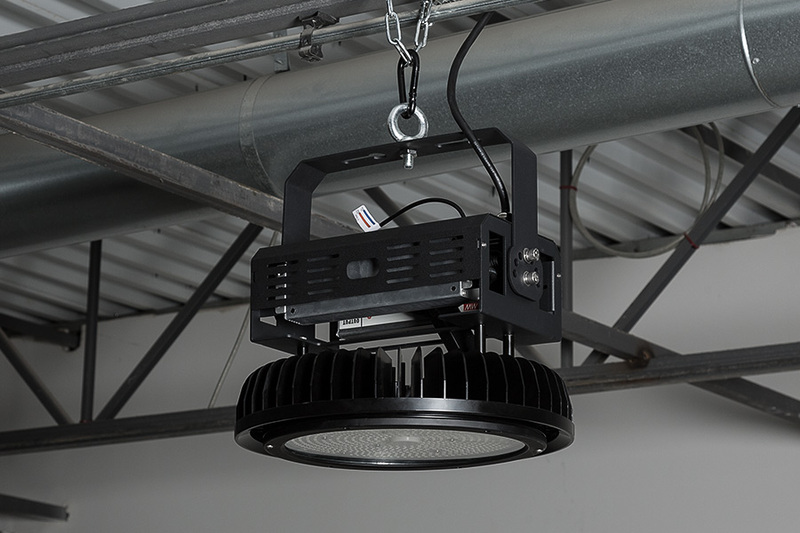 An adjustable U-bracket, eye hook, and safety cable are included. 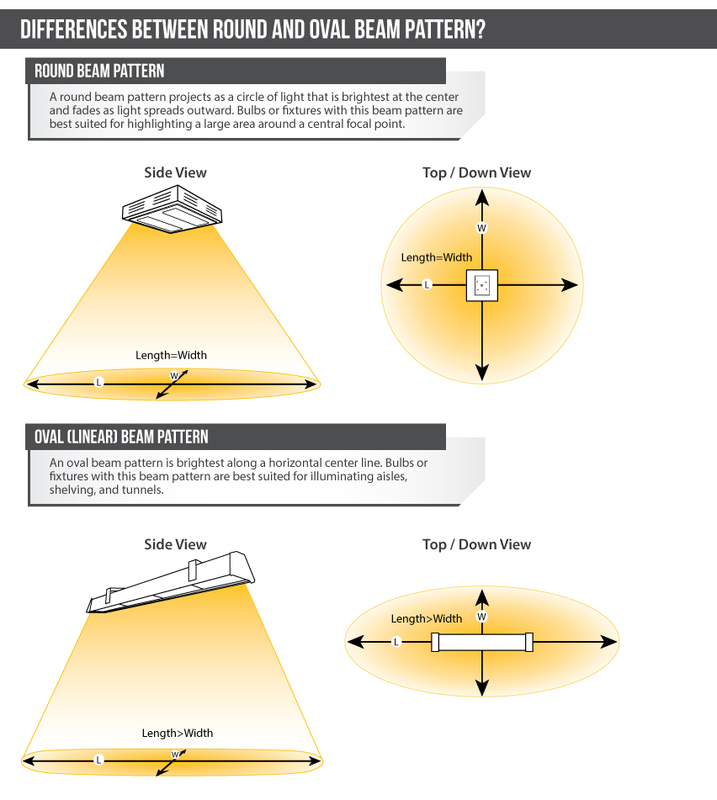 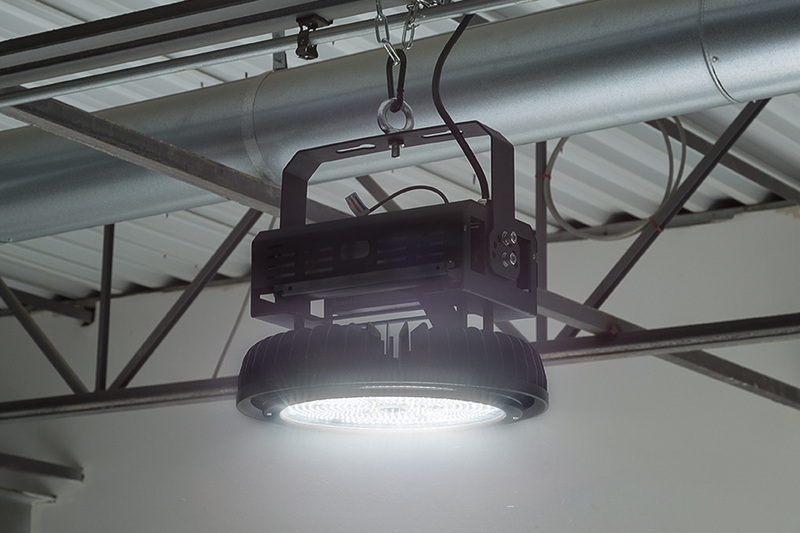 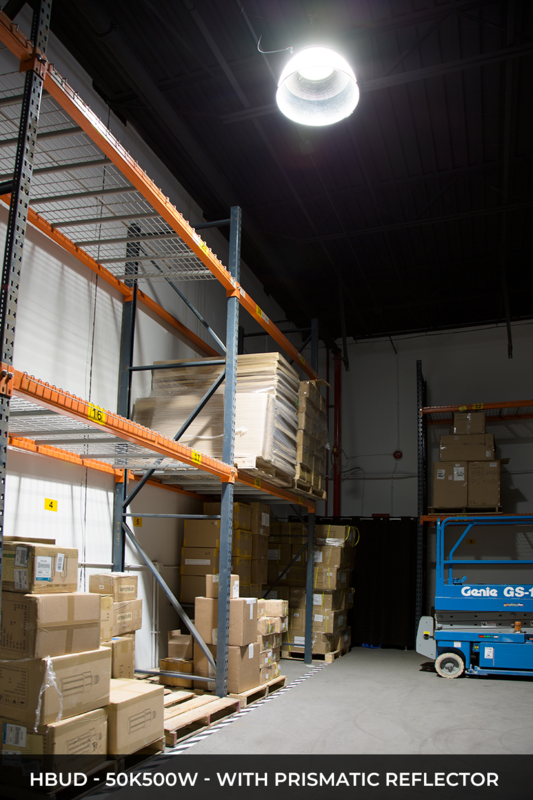 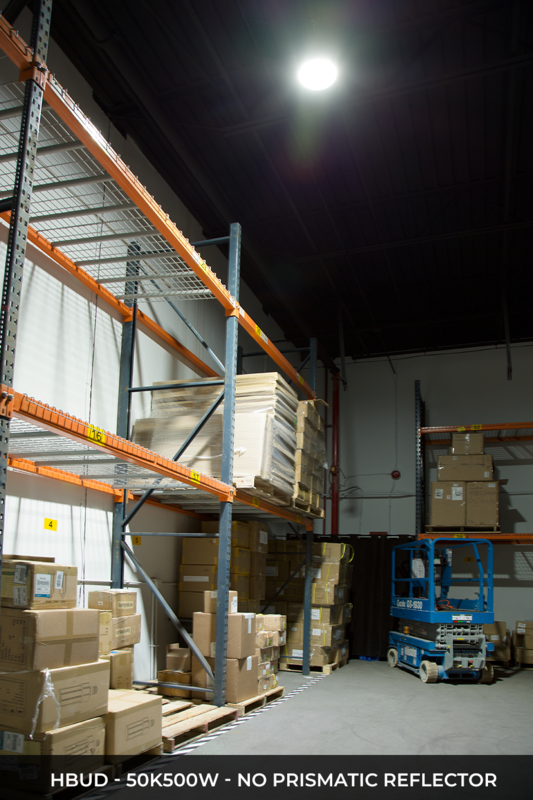 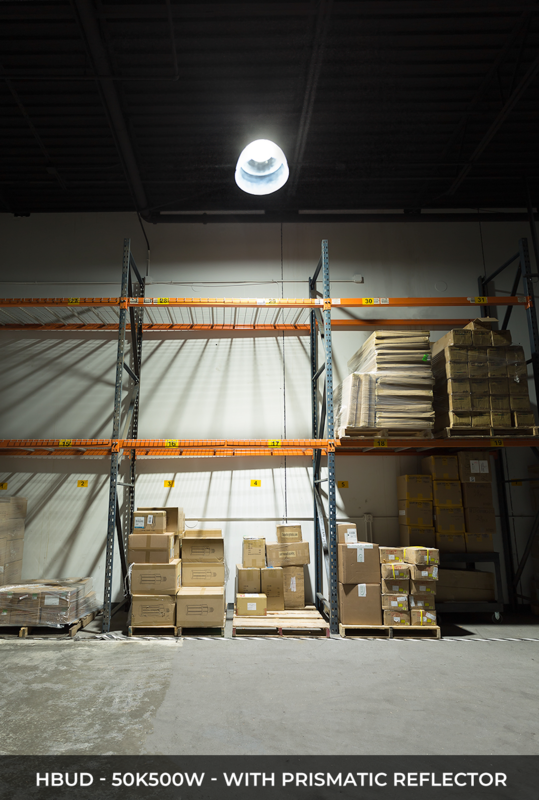 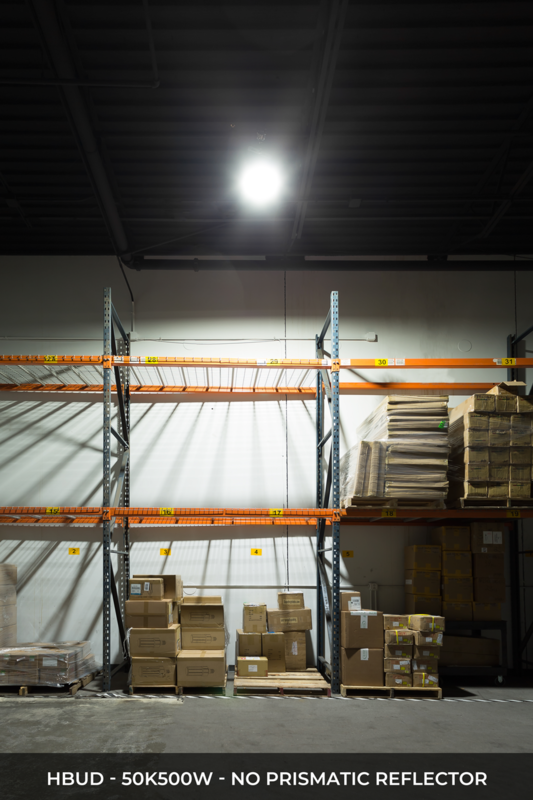 Install this high-bay light in warehouses, factories, gyms, big-box retail stores, and more.